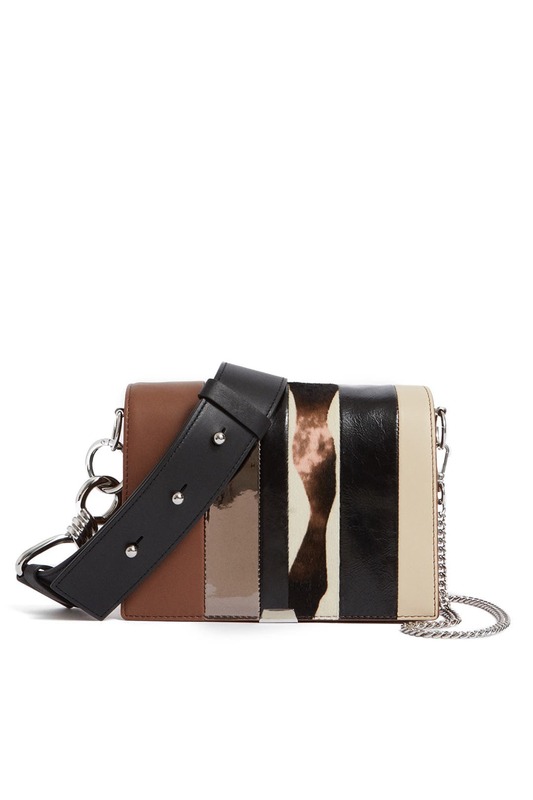 Patchwork stripes make a trend-right statement on this clean-cut AllSaints shoulder bag. 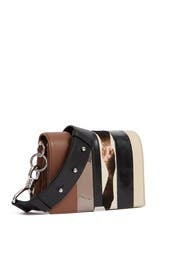 Multicolored mixed material shoulder bag with hidden snap closure. Silver chain and leather adjustable strap. 5.12"H x 7.5"W x 2.76"D.